- Personal consultation meeting to collaborate with you about your session goals. - Photographer's time & talent capturing photographs in the comfort of your own home or outdoor location of choice. Maternity sessions typically last about an hour to an hour and a half. Newborn sessions typically last 2 to 3 hours. - Professional editing (cropping, white balance, exposure, etc) and complete retouching (removing blemishes, softening skin, whitening teeth, etc) of photographs. 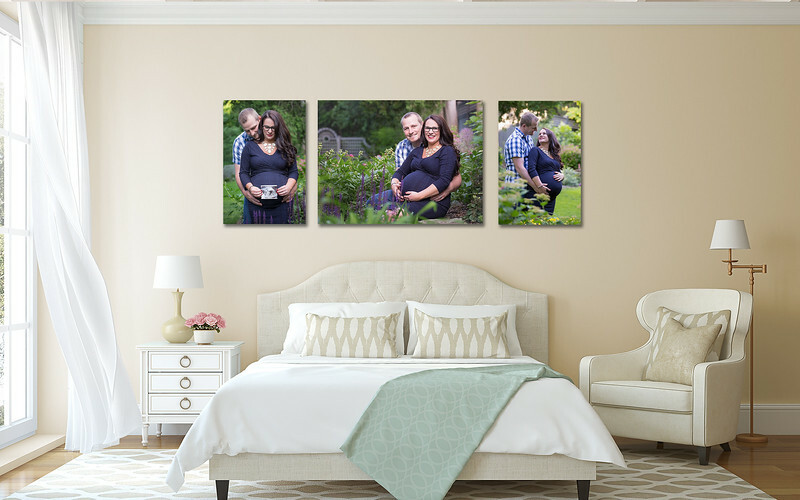 - Separate in-person portrait reveal and ordering appointments to assist you in creating your perfect portrait collection for your home from each session. - Personal delivery of art pieces and products. - Travel time and expenses to consultations, sessions, and delivery. Please note: Session Retainer must be paid at time of booking. No products or digital image files included with session retainer.